255 p., 18,1 x 25,4 cm. The manuscript ›Zur Physik‹ (On Physics), which is part of Bolzano’s literary estate kept in Prague, deals mainly with problems of natural philosophy. These include questions from the field of general physics, acoustics, optics, electricity,magnetism and gravitation, thermodynamics, biology, the history of the earth as well as new achievements in the area of technical-scientific instruments. Bolzano comments on the achievements of his contemporaries such as Ampère, Avogadro, Berzelius, Carnot, Faraday, Fries, Herbart, Herschel, Osann, Poisson or Wilhelm Eduard Weber. 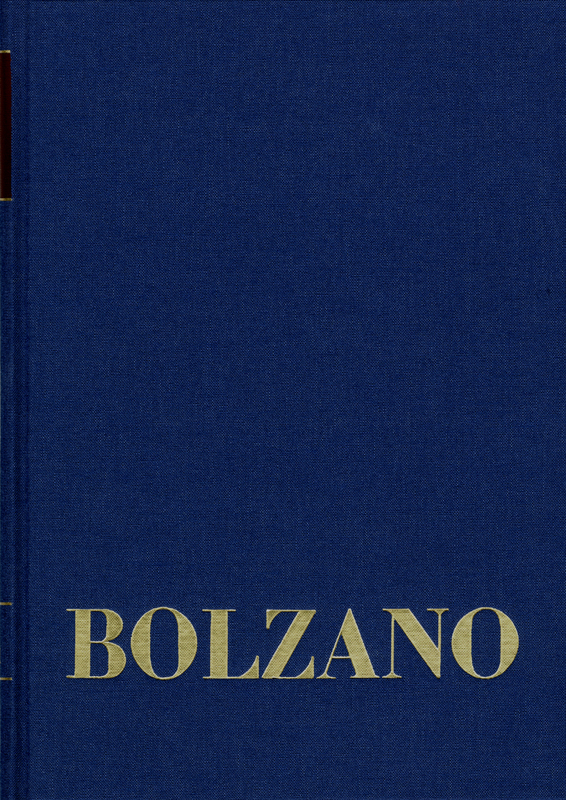 This manuscript shows that Bolzano was on the way to developing his own natural philosophy.